Copper Nickel 90 / 10 Threaded Fittings Supplier in Zambia, Cu-Ni 90 / 10 Socketweld Fittings in Algeria, UNS C70600 Cupro Nickel Forged Elbow Exporter in South Africa. Sangeeta Metal is one of the leading Manufacturer, Supplier and Exporter of Cu-Ni 90 / 10 (C70600) Forged Fittings that are actually manufactured from High Quality of Standard Raw Materials and are designed as per with national and international standards. Copper-Nickel 90 / 10 Forged Fittings are used on offshore oil and gas platforms and floating production, storage and offloading vessels. Meanwhile, for Multiple Effect Distillation, Cu-Ni 90 / 10 Forged Fittings are used for tubing in the evaporator section. 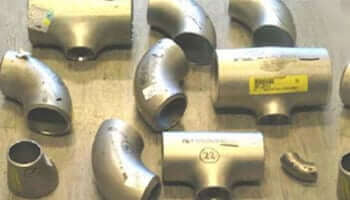 These Cupronickel 90 / 10 Forged Fittings are also at times known as UNS C70600 Forged Fittings. We offer these Copper Nickel products in custom-made shapes and sizes as per the requirements given by our clients, and that too at an affordable and market leading prices.